We know that parent communication in the classroom is essential, but sometimes, it takes a lot of time that we don’t always have. 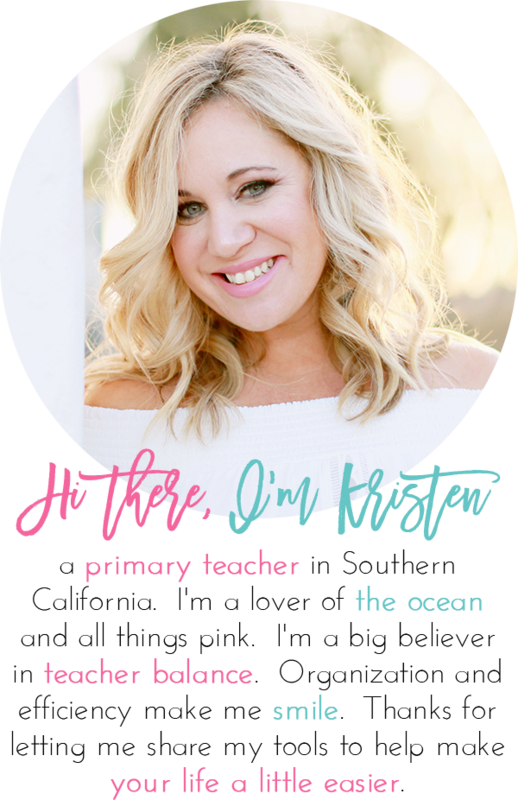 I have a free parent newsletter that takes just a few minutes to set up. You can add links to websites, photos, videos, sign up forms and more. 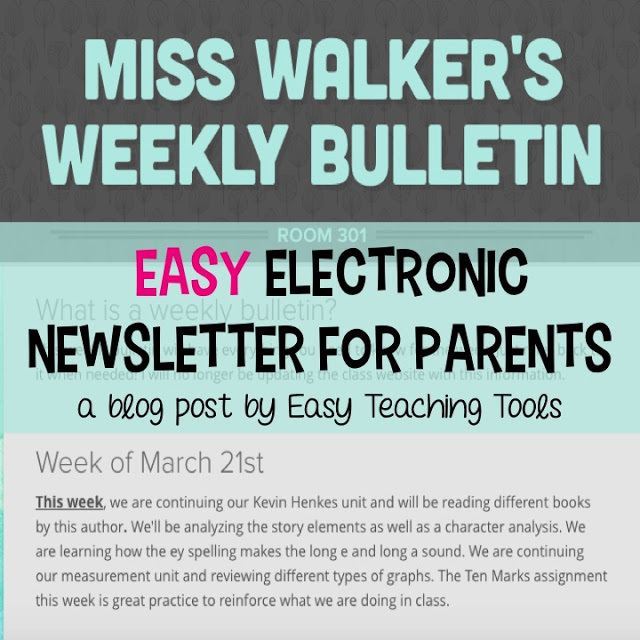 Do you send a weekly or monthly parent newsletter? 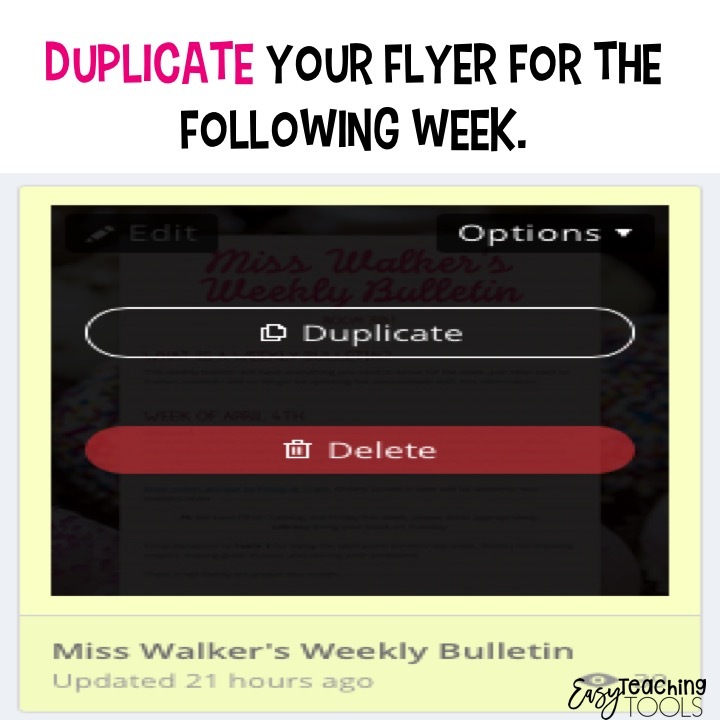 Just duplicate it, change what you need, and send! To get started, go to smore.com and create a free account. You get 5 free parent newsletters but if you duplicate one of them, it’s endless. For example. I’ve created one newsletter and duplicated it three times, using just one credit. 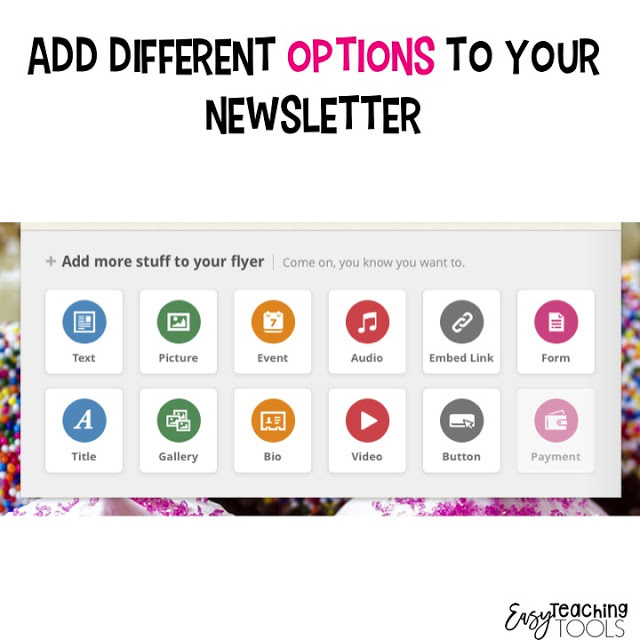 Decide what you want to add to your parent newsletter using the button option. Play around with it and see what you like. 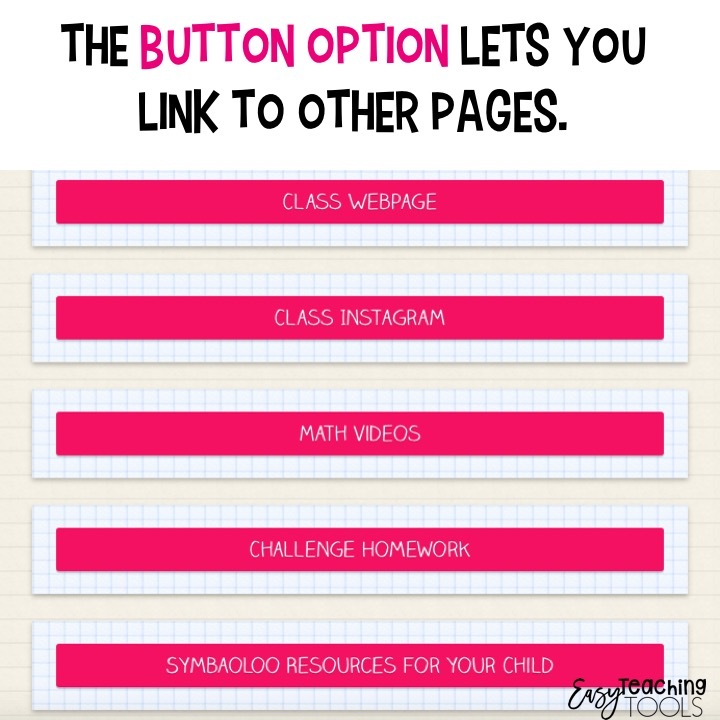 You can add your class webpage, class social media accounts, homework links, the school website, Scholastic ordering page, and more! I want this parent newsletter to be easy for busy parents to manage so I added buttons with all of the websites that parents and students will need. We are required to have a class webpage so I made sure to include that. Since parents aren’t in the classroom, they don’t always know what we’re working on. I like to keep parents in the loop by listing our learning targets. It takes about a minute to change out weekly. Do you have a Donor’s Choose project that you’re trying to fund? 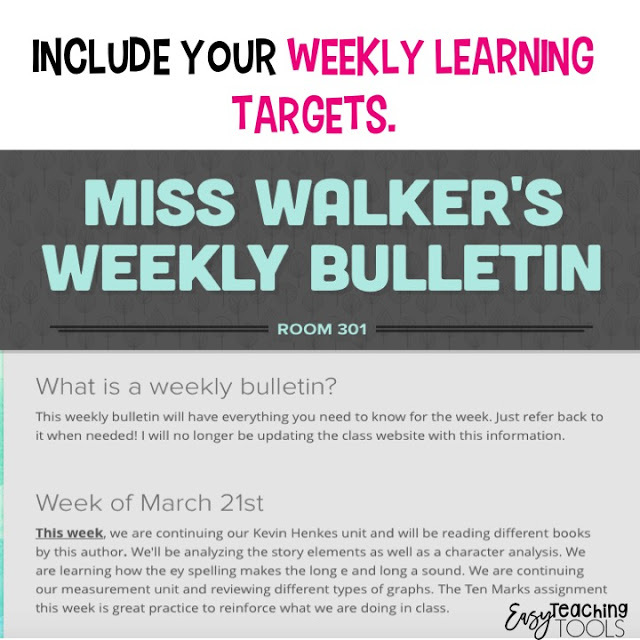 Adding it to your newsletter is the perfect place for it! 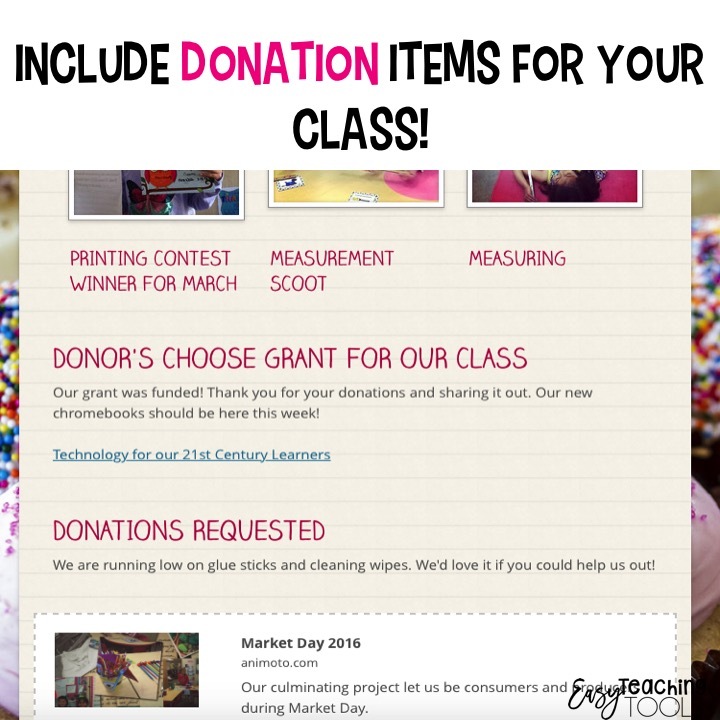 Need baby wipes or pencils, create a donations requested text box. On the right hand side, click on “Flyer Settings” and mark the privacy to private. It automatically defaults to public with the free version. You can also unblock other options for comments and other things, totally up to you! 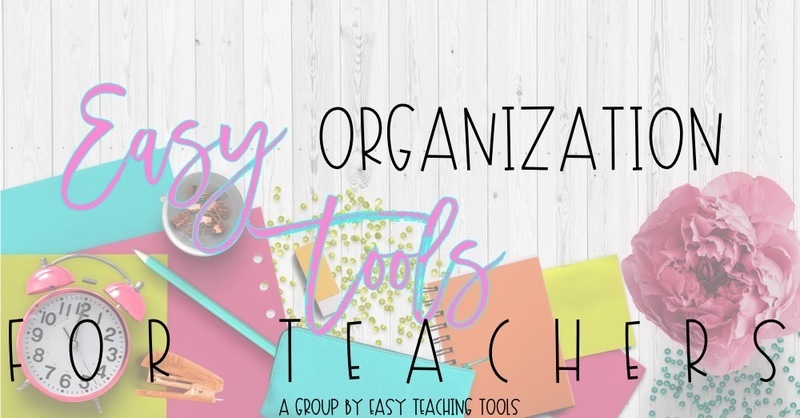 There is so much you can do with this! I just copy the link and put it in an e mail to send to parents every Monday. Have parents without internet access? There is an option to print out the newsletter as well to send home. Try this for a month and see what you think! It will make your parent communication so much easier!